For the past three years, I’ve been pursuing my Master of Fine Arts (MFA) in Creative Writing from the City University of Hong Kong. In May of 2016, I completed the degree. The program was designed for people who write about Asia in English and was the only program of its kind in the world. Sadly, after a lot of activism and rallying, the program was discontinued by the university. We graduates are among the few lucky ones to have experienced such a unique program in Asia. This blog chronicles the process of writing a larger project, inspired by the program: a memoir. The kids are growing and we have only a short time left in Beijing before we will move back to Canada. These last two years will be spent chronicling the chaos. What I don’t write about in the Beijing Kids blog (my more formal, paying gig), I’ll write about here. This blog is more personal, more specific to my family, and less about Beijing and how it relates to other families. In this blog, I write about things related to my music label and my music career. 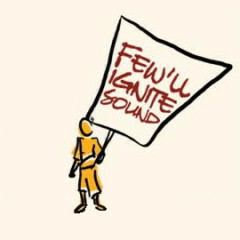 The label is called “Few’ll Ignite Sound,” which was explained by this motto at its inception: “May the few who ignite sound fuel a change in the night. May the few who fuel change ignite sound into light.” The label has been in operation since 1997, nearly twenty years, and continues to represent my music–the music by Ember Swift. The blogs are diverse and also encompass the “Final Thoughts” that used to appear in my monthly, then bi-monthly, then bi-annual newsletters. When I first discovered I was pregnant with Echo, my daughter, I started writing this blog. 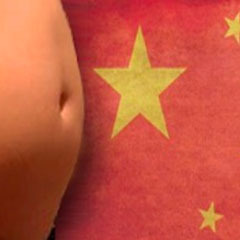 It was about the trials of going through pregnancy and childbirth in a foreign country. I picked it up again when I got pregnant again with my son Topaz. The blog was retired after the birth of my son, but have still made it available to people in similar situations who may find these resources helpful. I began this blog in 2009 to put a voice to being a queer woman who chose to partner with (and then marry) a man. In my case, I married a man from a completely different culture, who speaks a different language, who isn’t queer-identified in any way (very straight), and who is younger than I am by seven years. The swirling chaos that resulted from this match was enough to warrant several theme-based posts, which I quite enjoyed chronicling until I began work on my memoir. The blog is technically not retired, but is not regularly being updated at the moment. I have been working on it on a larger scale in the memoir. Beijing Kids is a monthly print magazine in Beijing as well as an active blog site. I have been writing for the magazine since 2012 and continue to write a monthly column for them that comes out in the magazine on stands across the city, as well as in digital form about a month after publication. I also occasionally blog for the magazine on their site. Here are some recent examples of the blog, published in 2016.